As of 10/23/17, there were 5 additional rooms available for booking from August 19th to the 29th. Anyone having trouble booking your reservation, please contact Ron Zorn at 619-402-5523. Registration Cutoff Date will be July 30, 2018. Get your reservations in early or you won't be able to get our discounted rate. Please note that you must be a member, the spouse or descendant of a member, or the guest of a member to attend our reunion. Please remember that you are responsible for all reservations which include hotel and transportation. Hi, My name is Robert Barlow. I was an FTG-3 on the Benjamin Stoddert from 74-76. Cindy (my wife) & I live across the Seekonk River from Providence. She was born and raised in the house we now (almost) own. I work at Electric Boat in Quonset Point, RI, building Virginia class submarines as a shipyard electrician. It was 1620. The Pilgrims were headed for Virginia, but foul weather kept them from getting South of Cape Cod. So they went to Plymouth. Roger Williams was a Puritan minister in England, who came to America in 1631. Williams was expelled by the Puritan leaders from the Massachusetts Bay Colonies for spreading "new and dangerous ideas", In 1635, the magistrates of Plymouth had had enough of Roger Williams' radical ideas, and he was tried and convicted of sedition, heresy, and refusing to swear an oath of allegiance in God's name. Williams regarded it as blasphemy to use God's name in a civil proceeding. Under order of banishment to England, Williams fled in February 1636, walking through the snow from Salem to Narragansett Bay (54 miles) where he spent the rest of the winter with the Wampanoags. Learning that spring that he was still within the land grant of Plymouth and fearing extradition to Massachusetts. Williams and some companions from Salem crossed the Seekonk River into Narragansett territory. There, on land purchased from his friends Miantonomi and Canonicus, the chief sachems of the Narragansetts, Williams began a settlement. He called it "Providence" because he believed that God had cared for him. This colony was a refuge, offering what he called "liberty of conscience", a place where everyone would have religious freedom. He was a staunch advocate for religious freedom, separation of church and state, and fair dealings with Native Americans, and he was one of the first abolitionists. A 2 1/2 hour drive will get you to Maine and the best Diner in North America (imho), or the tip of Cape Cod where the settlers first landed. 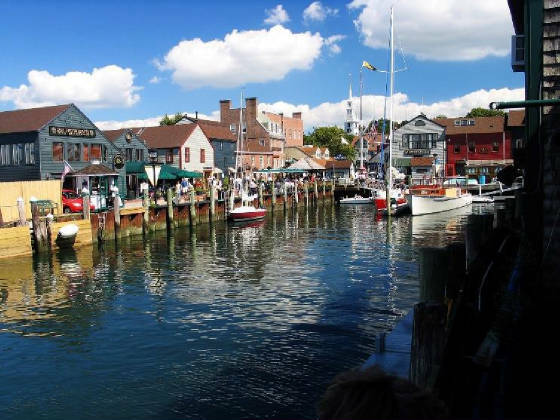 There's ferry service to Nantucket, Martha's Vineyard, or Block Island. An hour's drive to Narragansett and you can go charter fishing, or hit the beach. And no matter where you go, you're walking on hallowed ground, where America's first veteran's (mostly farmers and craftsmen) fought to create the freedom's we now enjoy. Below is a list of places my wife and I have been and enjoyed. Things to do for Sat. There are pictures of most of them on my facebook page. I have spoken with most of these places and acquired reduced or free admission. Walking distance (1 mile) Present your Reunion Badge for 1/2 price admission (if you don't have your badge just tell them your with the Stoddert/Jupiter). You pass the site of the original settlement of Rhode Island, stop in the Roger Williams National Park office, (great deal on lifetime National Park Pass), you go past the First Baptist Church in America (it's closed on Sat. but they said all are welcome on Sun. and after the service there will be a free tour for reunion attendee's), two blocks more and your @ RISD Museum on the left. 6 miles. Bus service from Kennedy Plaza. Present your Reunion Badge for 1/2 price admission (if you don't have your badge just tell them your with the Stoddert/Jupiter). From 9 A.M.-1 P.M. you can visit the third oldest zoo in America, after 1 P.M. they are setting up for "Brew at the Zoo" (sorry, it's sold out). 5 miles. Bus service in front of hotel Present your Reunion Badge for free admission (if you don't have your badge just tell them your with the Stoddert/Jupiter). The Slater Mill is a historic textile mill complex on the banks of the Blackstone River, modeled after cotton spinning mills first established in England. It is the first water-powered cotton spinning mill in North America. Samuel Slater ( look for the Slaterettes below), the mill's founder, hired by Moses Brown of Providence, RI (he co-founded Brown University. The family firm was active in distilling rum, owned an iron furnace, and took part in a wide variety of merchant activities) to produce a working set of machines necessary to spin cotton yarn using water power in 1793. It has a cool vertical water turbine driving belt-powered machinery. Need to quell that busy body for a couple of hours? Looking for wholesome activity, or to learn a useful new skill? Slater Mill in downtown Pawtucket has the answer, and all you need to do is drop in. On Saturday mornings in August, the mill offers a free Drop In & WEAVE! Program from 10 a.m. to Noon, open-house style, meaning you can show up anytime during those hours, even for a quick try. The program is family-friendly, and suitable for all ages. "Here's a chance for the curious fiber artists, young and not-so-young, to try their hand at one of the worlds oldest domestic crafts: hand-weaving,"
The Pawtucket Red Sox (Boston's minor league team) are inviting the Pawtucket Slaterettes, one of the nation's only women's baseball leagues, to play 33 innings of baseball at McCoy Stadium on Saturday, August 25.. The special event pays tribute to the historic 33-inning game played in 1981 by the PawSox and the visiting Rochester Red Wings, "Over the past two seasons, we have been blessed to welcome such players from the AAGPBL as Rhode Island's own Wilma Briggs and California's Maybelle "All the Way May" Blair and Shirley Burkovich. Part of this tribute is a tip of the cap to them. Argh, Matey. This be where Capt. Ahab sailed from. Highlights include tales of DeWolf family exploits, from their privateering and slave trading to their financial ruin and triumphant return to prosperity during Victorian times. Docents introduce visitors to family members Pomeroy Colt, founder of United States Rubber, now Uniroyal, his mother Theodora DeWolf Colt, who as Madam Colt ran Bristol Society from Linden Place as if she was Queen Victoria and the great actress Ethel Barrymore who married in to this most prominent of American families. "A Spectacle in Motion: The Grand Panorama of a Whaling Voyage Round the World." I've seen this and it is truly amazing. See America's longest painting - longer than the Empire State Building is tall. All 1,275 feet of the Panorama is currently on exhibit to awe visitors. Where it all started. An hour on the highway to Plymouth Rock, Plimoth Plantation, the Plimoth Grist Mill (I really enjoyed this place), and the Mayflower II (oops, just found out it's at Mystic Seaport getting work done). Collection of antique motors & vintage bikes displayed in a château -style Victorian carriage house. Minute Man National Historical Park. Lexington to the East, Concord to the West. Paul Revere, John Hancock, and Samuel Adams. Just like they taught us in school. It really happened. The first integrated ironworks in America (1646). It includes the reconstructed blast furnace, forge, rolling mill, shear, slitter and a quarter-ton drop hammer. The facility is powered by seven large waterwheels, some of which are rigged to work in tandem with huge wooden gears connecting them. It has a wharf to load the iron onto ocean-going vessels, as well as a large, restored 17th-century house. 50 miles on I-95 South. From whaling ships to a Viking raider, a living, working wooden shipyard that's always a treat. Aboard NAUTILUS, experience the decks that made Naval history: the world's first nuclear powered vessel, first ship to go to the North Pole, and first submarine to journey "20,000 Leagues under the sea." Great submarine museum on the same lot. Just up the river from General Dynamics/Electric Boat shipyard, where our future submarine fleet is being built. Yeah, I know that's the banquet. But if you get a chance after the festivities, take the wife down to the Basin. You'll get points for it. Waterfire centers around a series of nearly 100 bonfires that blaze just above the surface of the three rivers that pass through the middle of downtown Providence. The string of fires illuminates nearly two-thirds of a mile of urban public spaces and parks, as residents and visitors gather to stroll along the river, listening to music and watching performances. Boats pass quietly before the flames, as black-clad performers tend the fires from sunset to midnight. Rocky Point Park Warwick, RI 15 miles This park, is a very simple park, but with stunning views, a couple of beaches, a paved walking trail, rocks to fish from and lots of open space.